Allows cross-platform play with iOS and Mac owners. The formerly iOS-exclusive multiplayer online battle arena Solstice Arena has spawned its very own PC counterpart. Recently released via Steam, Zynga's MOBA makes for a more luxurious experience with the added screen real estate, not to mention the comfort of mouse and keyboard controls. 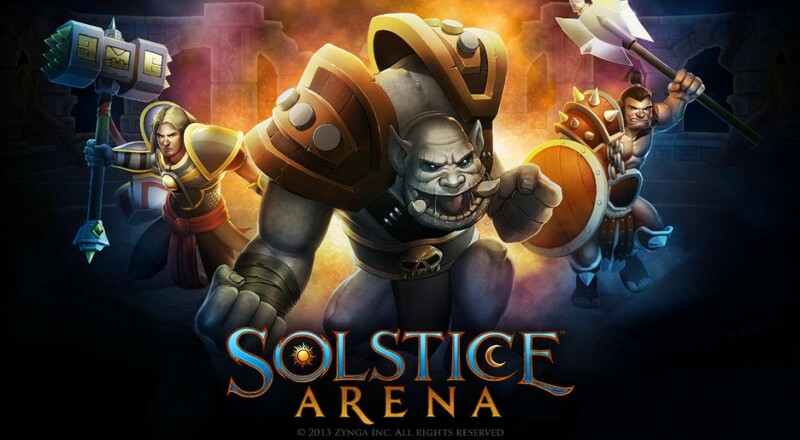 Solstice Arena began as the brainchild of A Bit Lucky, a studio that was acquired by Zynga in late 2012. The team had a few basic goals in mind: make a mobile MOBA that doesn't sacrifice depth or gameplay, and make everything focus on speed. You'll see the tagline "world’s first speed MOBA" in a few places, and the game does indeed keep things moving at a brisk pace. It also aims to reduce item farming and encourage players to focus on fighting, despite retaining its free-to-play status from the mobile incarnation. Perhaps the best feature of the PC port of Solstice Arena is cross-platform play. Anyone battling on the game's servers can take on anyone else, regardless of which device they're holding in their hands. It also allows you to play the game on your PC, then head out the door and keep playing on your phone. If you ever get addicted to the game, you shouldn't have a shortage of ways to get your fix. Solstice Arena is currently available for PC via Steam, Mac via the Mac App Store, and iPhone/iPad devices. It supports battles as large as 3 vs. 3 players as well as co-op modes against bots. Page created in 0.8651 seconds.